In the past one year, he has spent a great deal of time criss-crossing Nigeria, bringing hope to the despondent; presenting ideas as weapons; educating our future. Barack Obama was just a first-term senator from Illinois when he had the “audacity of hope” to run for president of the United States. It was not only an uphill task; it was an impossible one. To succeed, he had to confront, in the first instance, a principality of the American political firmament in the person of Hilary Clinton, wife of a former president, in the bid to secure the nomination of the Democratic Party. As far as his wife, Michelle, was concerned, Barack did not stand a chance. In the first place, he is an African-American. No black man had ever become president of the United States. In the second, he was a greenhorn; neither well-known nor well-liked by the powers-that-be in the Democratic Party. Michelle was convinced Barack’s run for the presidency would be nothing but a waste of time and resources. So Barack asked two of his strategists to have a talk with her. They sat her down and told her the innovations they had devised for defeating Hilary Clinton against all the odds. She listened respectfully and intently. By the time they finished, they had made a believer out of her. She became convinced that Barack would not only secure the nomination hands down, but also go all the way to win the prize of the presidency. That was the birth of a siren that rang all through the United States for the next few years: “Yes We Can.” The rest, as they say, is history. Barack Obama went on to become the 44th president of the United States. He was one of America’s youngest presidents, and the very first African-American to achieve that feat. He not only won the election handsomely in 2008, he was re-elected for a second term in 2012. 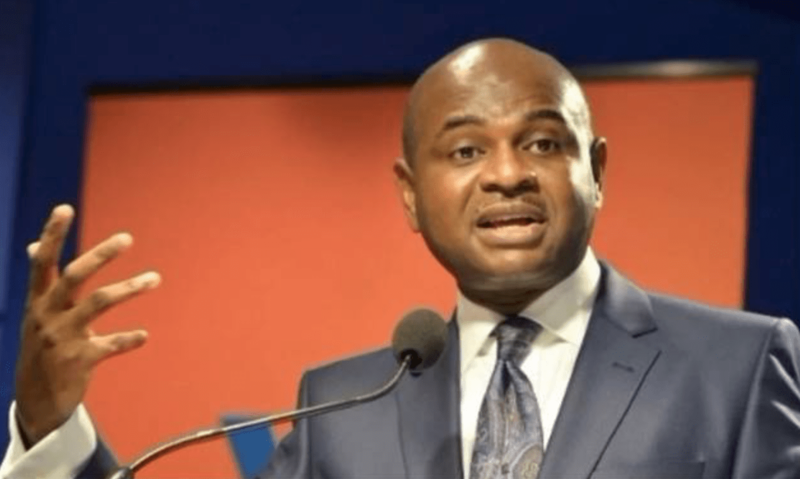 Kingsley Moghalu is the Nigerian Barack Obama: a youthful upstart who dared to confront the ancient juggernauts of the Nigerian political establishment. When he started his journey, he met skeptics along the highway. Many were convinced the APC and the PDP are too entrenched to be dislodged from their traditional supremacy. Others felt his timing was misplaced: Why could he not wait until 2023 when there would be a more open field without an incumbent president? But it is increasingly clear, from the popular response to his candidacy and from the incredible coalitions he has been able to make, North and South of the Niger, that Kingsley Moghalu is about to confound all expectations by not only dislodging an incumbent president, but by also becoming the very first Nigerian president of South-East extraction. When a building is on fire, you don’t wait till tomorrow to get the fire brigade; you become the fire brigade. Once an appendix has ruptured, there is no more time for prevaricating debate and discussion; the patient must be wheeled into the operating theatre for immediate surgery. This is where we find ourselves in Nigeria today. The country is not only sick; it has gone into a coma. Things have fallen apart and the center cannot hold. Mere anarchy is loosed upon the land. We owe a depth of gratitude that, in contra-distinction from the odd-jobbers of the APC and the PDP, a man as dynamic, experienced and imaginative as Kingsley Moghalu has decided to come to the rescue of Nigeria. Unlike the aged snake-oil salesmen of the two major parties who are busy trying to convince us that our poverty, insecurity and hopelessness is in some incredulous way to our benefit, Moghalu reminds us that a bad term in office certainly does not deserve another. He tells us in no uncertain terms that the “next level” of our current misery might actually be suicidal. We have never had it so bad. We have become a nation of beggars; a nation of the jobless and joblessness, a nation of kidnappers and murderers; a nation of enslaved peoples; a nation of bank-robbers and pen-robbers; a nation of tribalists and nepotists; a nation of liars and deceivers; a nation where truth has fallen in the streets and equity cannot enter. We simply cannot go on like this. The smoke and mirrors of this campaign season are no longer working. The wise man’s adage says: “Fool me once, shame on you; fool me twice, shame on me.” Those who have convinced themselves that Nigerians will agree to be fooled yet again are the very ones who are fooling themselves. In barely four years, Nigeria has become the poverty capital of the world with over 85 million of our people declared to be hungry-poor. You cannot fool a man who is starving into believing he is fed. You cannot deceive a man who is jobless into believing he is employed. You cannot trick a man who lives under the bridge into believing he lives in a mansion. You cannot convince a man that you are the architect of the change he seeks when he cannot even change his clothes. You cannot claim to be against corruption when you are surrounded by the corrupt. You cannot fight corruption with corruption and by the violation of the rule of law. Intimidating people to come to your rallies just won’t cut it. Importing foreign children from Niger to your rallies to give the impression that you are popular is a waste of time. All it does is fool the very architects of this tomfoolery into believing they are getting anywhere when they are actually going nowhere. Nigerians are already fed up with these pathetic tricks. That is why, after these rallies are over, the people return enraged to set fire to your brooms. Away from all these useless shenanigans, there is one serious presidential candidate flying under the radar. His name is Kingsley Moghalu. In the past one year, he has spent a great deal of time crisscrossing Nigeria, bringing hope to the despondent; presenting ideas as weapons; educating our future. He has been meeting the people, engaging all and sundry in town halls and even street corners, talking up his vision for a paradigm shift in Nigerian politics. What Moghalu has been doing on the quiet is forming a rainbow coalition of the dispossessed and the marginalised of Nigeria. This is grassroots politics on a scale we have never seen before. Moghalu has been making a headway with those who are fed up with Fulani hegemony. He has been reaching the poor and the hungry where they live. He has become the representative of those who believe the government should give security to our farmers, rather than leave them at the mercy of marauding herdsmen. He has become the megaphone of those imprisoned in internally displaced persons’ (IDP) camps, because the Nigerian government has not been able to protect us from the scourge of Boko Haram terrorists. He is providing a beacon of hope to those who believe Nigeria cannot survive without a 365-degree turnaround in leadership, outlook and politics. Moghalu is, indeed, the voice of one crying in the Nigerian political wilderness. But lo and behold, like the John the Baptist of old, everyone is now flocking to his baptismal and responding to his jeremiads. His message is resonating. His vision is enlightening. His ideas are inspiring and challenging. The Moghalu train has long left the station. Earlier Doubting Thomas are now convinced his election is inevitable. Nigerians have had enough. They will not vote for the Buharis and the Atikus of old again. They will no longer accept the lie that an APC or PDP president is inevitable. You cannot continue again and again choosing the same tired people who have failed and now hope they will somehow succeed. Change does not emanate from repeating the same mistakes. Don’t be surprised when you wake up the day after the presidential election to discover that Kingsley Moghalu is the people’s choice to be Nigeria’s new president. He will confound the bookmakers and astound the naysayers. I am not only saying Moghalu can win. I am saying Moghalu will win; and that finally, a bright new chapter will open in Nigeria’s political history.